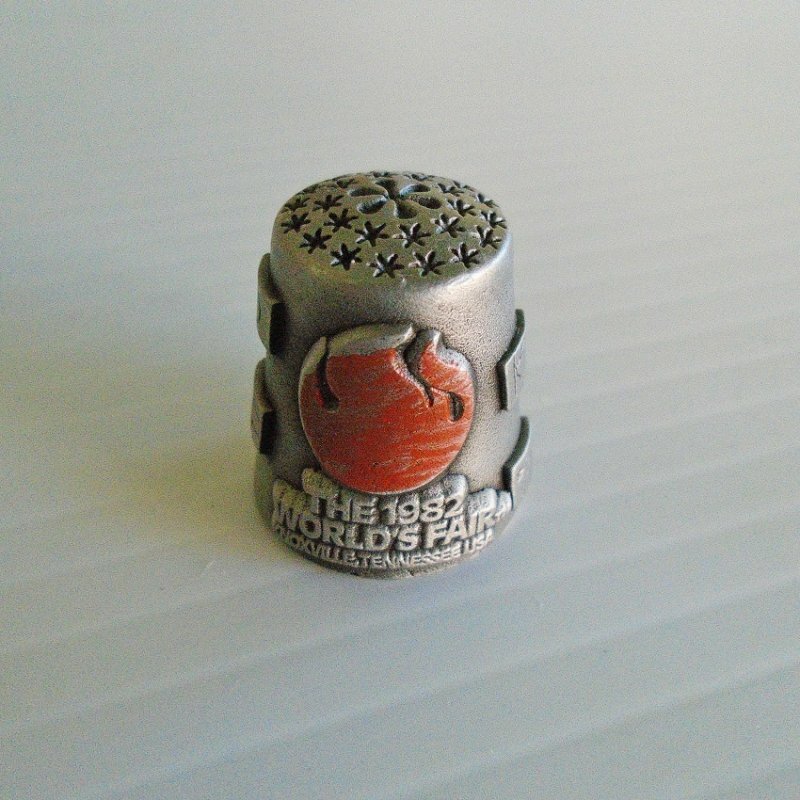 Pewter thimble to celebrate the 1982 World's Fair held in Knoxville Tennessee. The sides have the fair's logo plus the flags of some of the nations that participated. 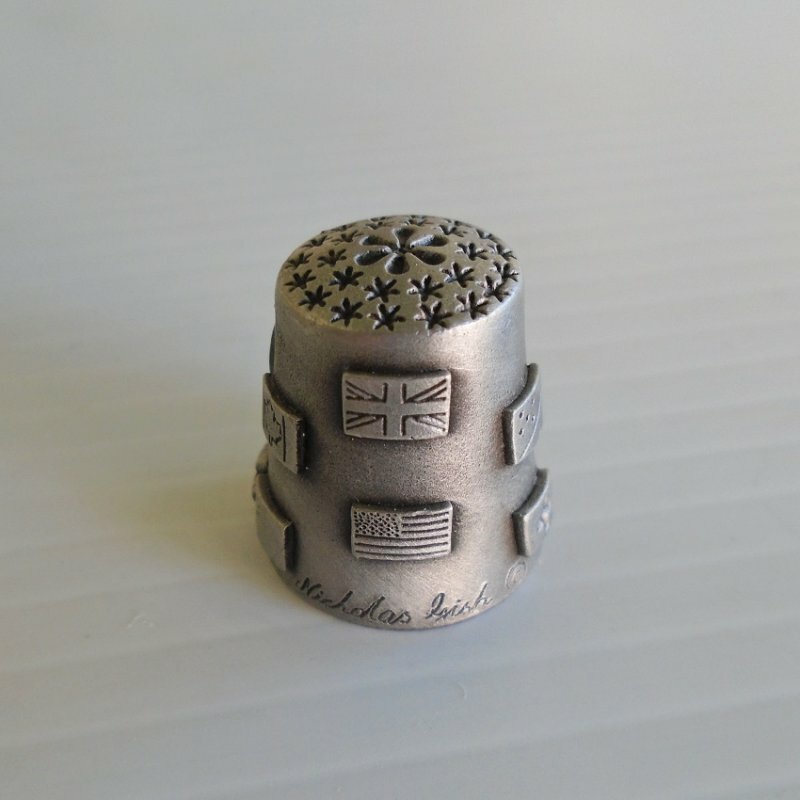 The thimble stands barely under one inch tall and is signed Nicholas Gish. Purchased at an estate sale. World's Fair 1982 Knoxville Tennessee pewter thimble. Has flags of some participating nations. One inch, signed Nicholas Gish.